Visita Iglesia has become one of the most popular traditions of Filipino Catholics when the Holy Week comes. 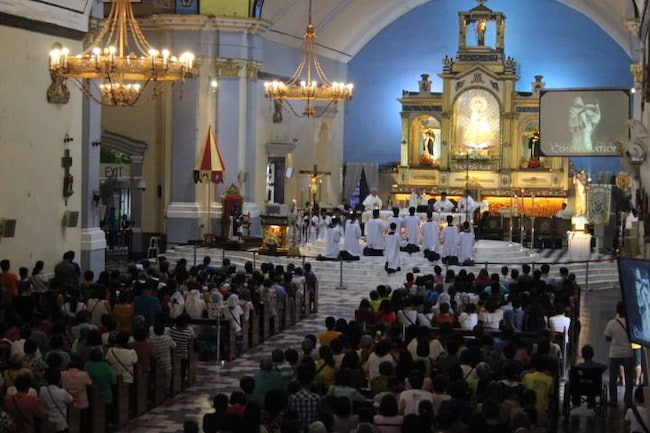 In this panata or religious vow, devotees visit and pilgrimage in seven or fourteen churches, commonly during the Maundy Thursday or Good Friday. The number seven stands symbolic to many as it is said to describe the Seven Last Words or the Seven Holy Wounds of Jesus. Others prefer visiting fourteen churches, as the number supposedly refers to the 14 Stations of the Cross, but there's really no limit to the churches one wants to pray in especially at this time of year. 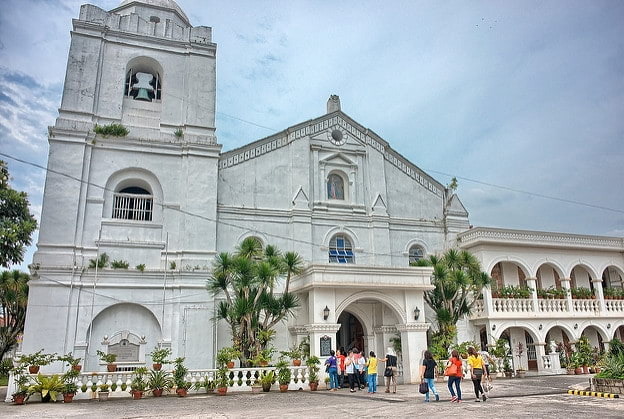 If you're planning to do your Visita Iglesia within Manila this coming Holy Week, you might want to put these seven beautiful and historical churches in your itineraries. If you're planning to do your yearly Visita Iglesia in Metro Manila, but still don't know which churches to visit, fret not because we're giving you 7 historical and beautiful churches you could add to your Holy Week itineraries! 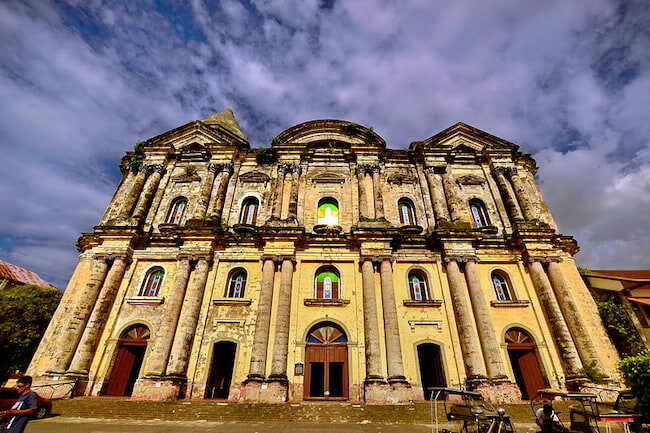 Standing 88.6 meters long and 48 meters wide, the Taal Basilica or canonically Minor Basilica of Saint Martin of Tours is considered the biggest church in the country and even in Asia. 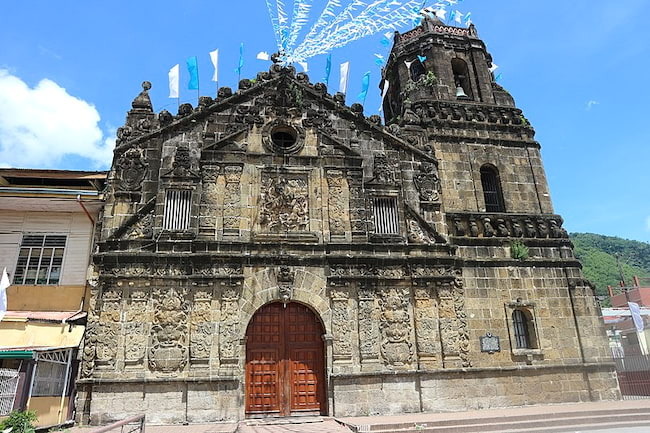 The massive baroque structure of this church made from adobe and coral stones towers over the old heritage town of Taal, easy to spot from wherever part of the town you are standing. The first construction of the church began in 1575 near the shores of Taal Lake but was destroyed by Taal volcano's eruption. It is then rebuilt in 1755 at its present site on top of a hill facing Balayan Bay. Established in 2003, the whole concept of this church was made to be very Filipino. Its main structure is primarily made out of wood, stone, nipa leaves, and bamboo. 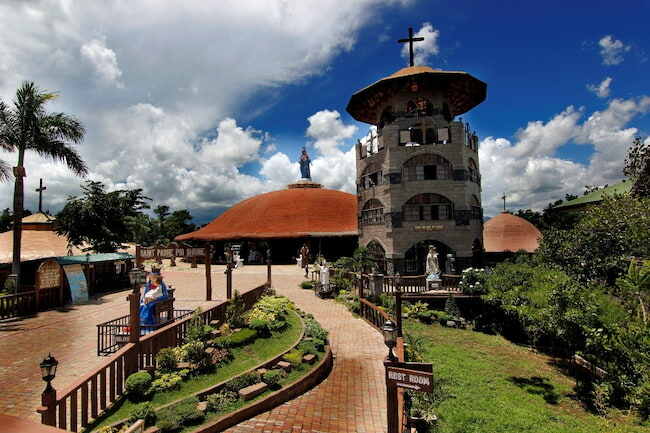 It has a roof shaped like a salakot or Filipino farmers' hat, with the image of Our Lady of Mercy standing on top. Besides the eco-friendly materials, it is also surrounded by the green thickets of nature for a more peaceful and calming pilgrimage. The Manaoag Basilica is home to the 17th-century ivory image of Our Lady of Manaoag that depicts the Virgin Mary holding The Child Jesus, complete with a bejeweled crown and priceless regalia. Back in 1610, a middle-aged farmer attested that he saw an apparition of the Virgin Mary with a rosary on her right hand and The Child Jesus on her left arm. She spoke and told the farmer that she wanted a church built on the hilltop side of the apparition, hence its construction. In 2016, the church was declared a National Cultural Treasure by the National Museum. 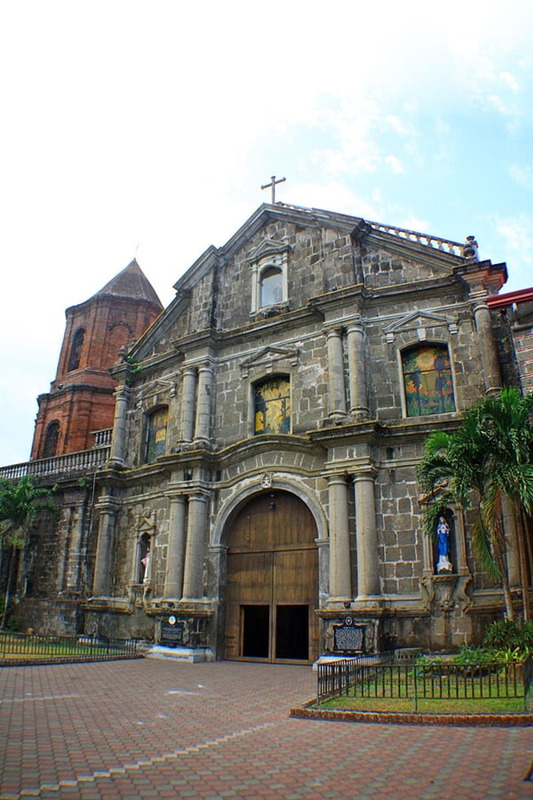 Locally known as Calasiao Church, this Spanish-colonial-era church has also been declared a National Cultural Treasure. It stands strong with its massive bricks and fortress-looking facade, enough to repel rebels and revolutionaries at the time. The church has recently acquired automatic bells which would ring three times a day and could be heard within 7 or 8 kilometer-radius, while its antique bells are being preserved inside a small tower. Beside the church is the small Museo Calasiao which showcases its vintage photographs and historical pieces. Founded in 1859, Our Lady of Mount Carmel Parish or Barasoain Church had been heralded the title the Cradle of Democracy in the East, making it the Philippines' most important church. It had been the site of the country's many historical events, such as the convening of the First Philippine Congress, the drafting of the Malolos Constitution, and the inauguration of the First Philippine Republic. 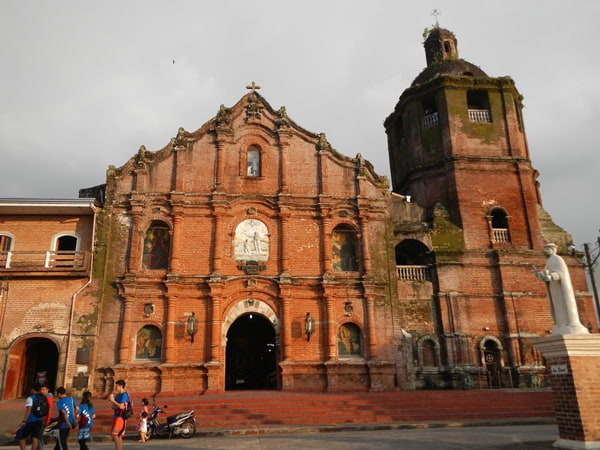 The St. John the Baptist Parish Church or Liliw Church was first built from wood in 1620 before it was converted into stone 1646 and had undergone reconstruction and renovations after. Today, You'll see it as a baroque structure distinct by its facade made of red bricks and adobe. 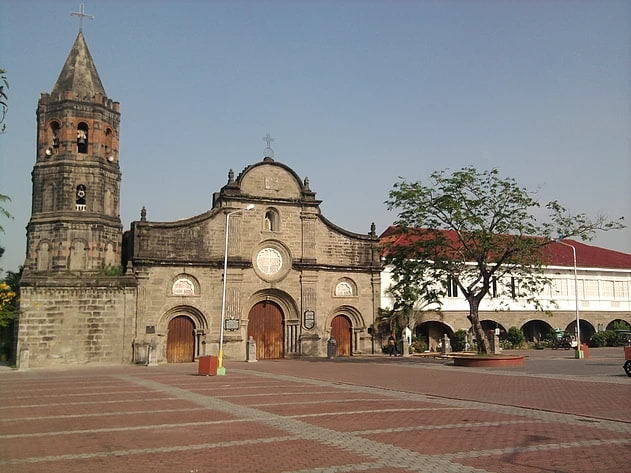 This baroque style church is the first Antonine parish church in the Philippines. It was first built with the cane plant as its primary material in 1578 before being reconstructed with stone in 1599. It has a three-level facade with Doric columns. On its right side is what used to be the church's convent that is now the Liceo parochial school. 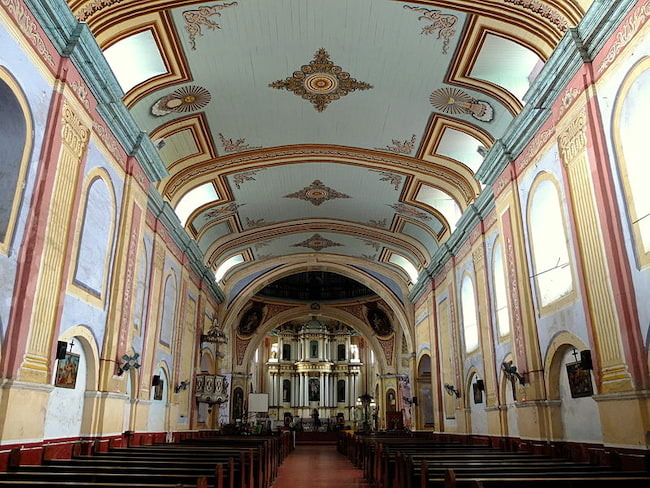 Our Lady of Guadalupe Parish Church in Laguna was originally made from light materials like nipa leaves, bamboo, and wood in 1688 before being reconstructed with stone in 1960. It has a white early Renaissance facade and a three-story bell tower on its left side. A side chapel near its altar houses a replica of Our Lady of Guadalupe's tilma, an image of San Juan Diego, and a stone relic from Tepeyac Hill in Mexico City, the site of the apparition of the Virgin of Guadalupe in 1531. The only Roman Catholic church in Paete, Laguna is known for its massive collection of images depicting the Passion of Christ, century-old paintings, and wooden images of saints. This baroque-style church houses a stone relic from the tomb of St. James the Great and a silver medallion that had touched the remains of the apostle. With Paete having been known for its local industry of wood carving, expect intricate wooden figures of saints available for sale around the site. 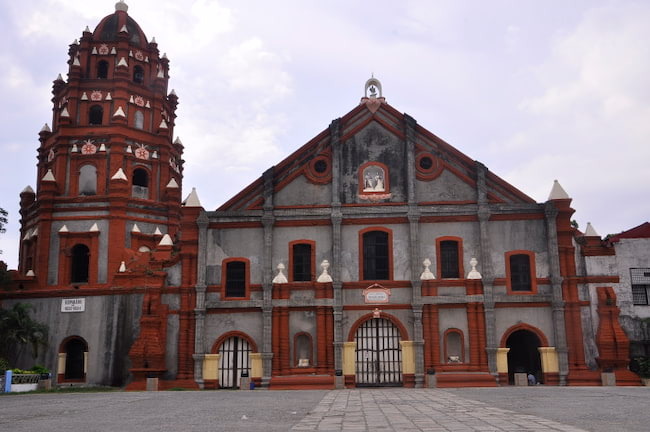 Established in 1578, the Minor Basilica of Saint Michael the Archangel or Tayabas Basilica is the biggest church in Quezon Province and is yet another church declared as a National Cultural Treasure. Its baroque structure has been influenced by Chinese architecture such as the lion statues in front of it. Its interior has light refreshing colors painted from the nave to the altar that can give off a calming feeling to devotees. After checking out your route, be sure to have your tank full for a few hours drive to these religious destinations. And don't forget to bring with you your prayer books on this reverent visit. Have a safe trip!